We heard ya! 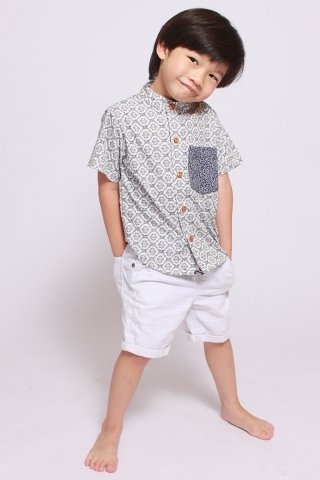 So we've done more little boy tops for your adorable little boys. Crafted in super comfy stretchy cotton that's perfect for cheeky active little boys. Match it with shorts, jeans or bermuda. PTP 10"-14" 11"-15" 12"-16" 13"-17" 13.5"-17.5" 14"-18"
Length 13.5" 14.5" 15.5" 16.5" 17.5" 18.5"